Version 4.5 of Job Ops’ Purchase Agent software has just quietly been released. 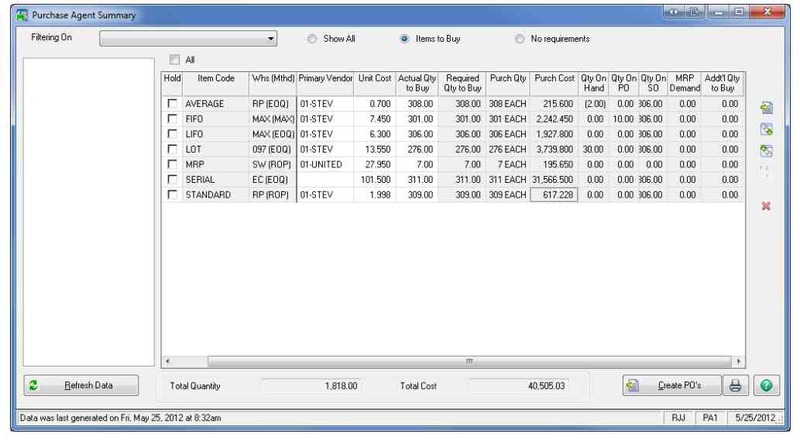 Purchase Agent is a scaled down version of Job Ops which omits some of the more complex features while providing features for analyzing orders, minimum stock requirements, current supply, quantities on purchase order, and optional MRP projections, Purchase Agent creates a to-do list of the materials that need to be purchased. Purchase Agent is a stand alone module for Sage 100 ERP (Formerly Sage ERP MAS90/200) that does not require JobOps. Although there was no announcement the link to the product download and manual is live on the Job Ops Purchase Agent product site here.